If you are labelling chemicals or potentially hazardous substances, you should be aware of the change from the CHIP to CLP symbols or pictograms. Currently, the two symbologies are running side by side, although the CLP regulations came into force in January 2009. This has allowed a gradual progression to full adoption from the 1st June 2015. This means that the old “CHIP” symbols are being phased out and will cease to be valid after June 2015. As well as chemical labelling, these symbols are used on warning signage. Please see the European Dangerous Substances Directive for further information and full details. The above symbols are being replaced. 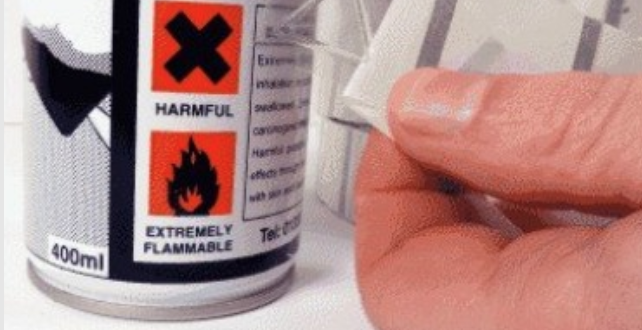 If you are labelling any chemicals or substances that need any of the above icons, you should consider using our tactile warning triangle labels which enable blind and visually impaired people to distinguish potentially harmful products.